Our range of high quality fluorescent microscopes, including our revolutionary new LED fluorescent module. For more information, or to arrange a demonstration for any of our microscopes, please contact our sales team. 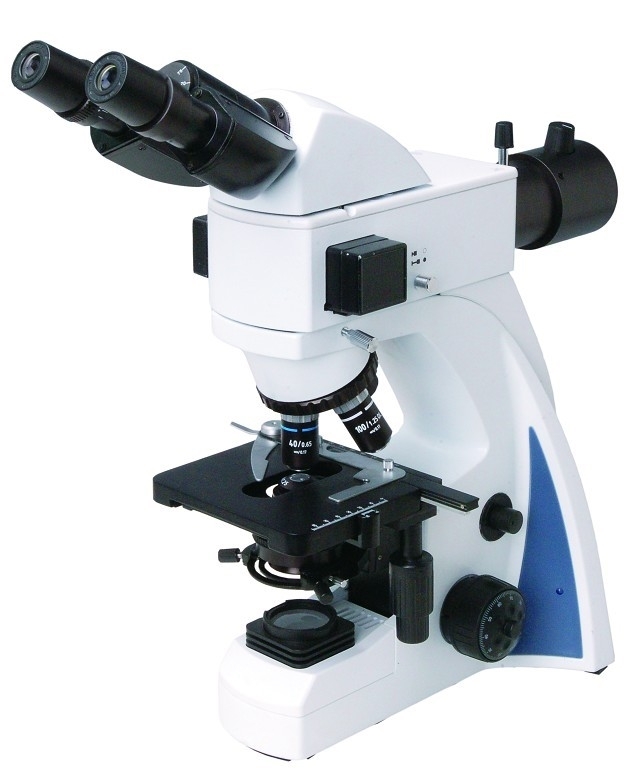 Also see our modern LCD Screen Microscopes, Biological Microscopes and our Microscope Cameras and Screens! Module Fluo-RAL is a powerful and economical upgrade to your traditional Mercury or Xenon lamps. Thanks to its high-performance LED, it improves contrast and reliability, and is ready to use straight away with no warm up time required. Unlike a traditional mercury vapour or xenon lamp, an LED emits a quasi-monochromatic spectrum, of higher intensity at the reference wavelength. The fluorescence intensity is therefore higher giving better contrast from the background of the preparation and easier and more reliable reading with less eye strain. With adaptors to fit any existing fluorescent microscope, this module is an excellent upgrade for any laboratory involved in modern fluorescent work. For more information or to arrange a demonstration, please contact our sales team. This Inverted Fluorescent Biological Microscope is specifically designed for the observation of cell cultures. The Infinite Optical System gives excellent optical performance. Excellent high resolution fluorescent objectives generate high quality fluorescent images. 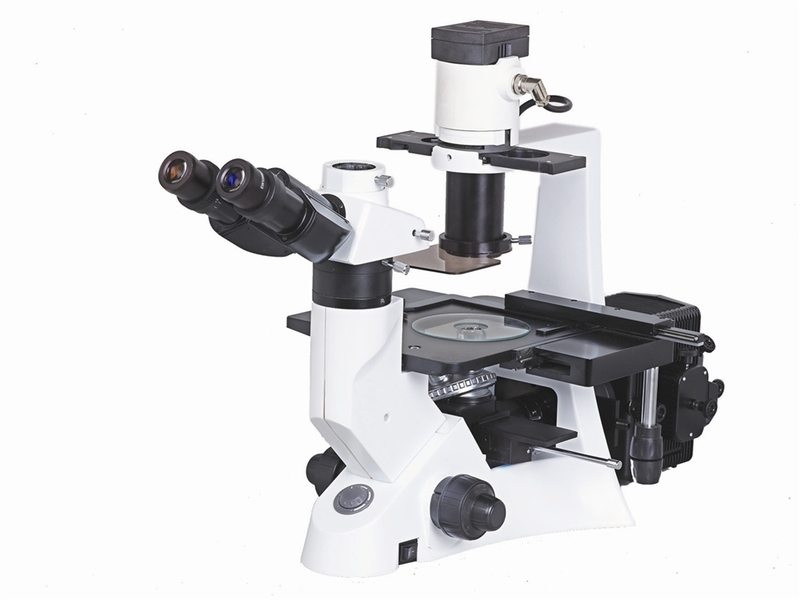 These advanced LED fluorescence microscopes are newly developed using LED fluorescence technology. They use LEDs as the light source as the life span of the LED lamp is much longer than a mercury lamp with no warm up time or cooling needed. Safety design to eliminate catching and scratching. 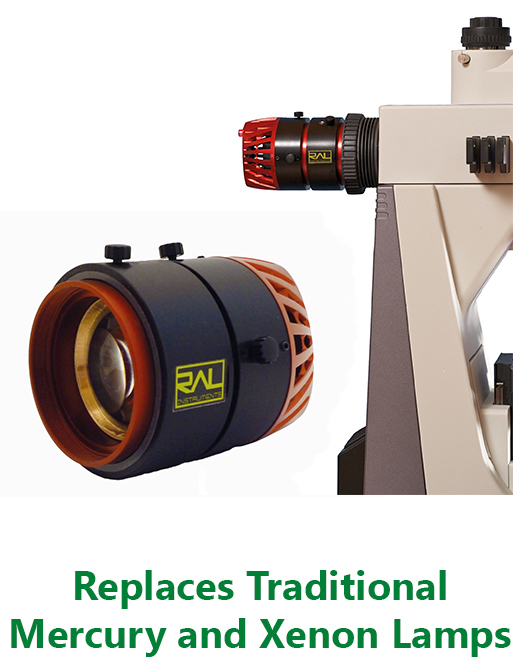 These advanced LED fluorescence microscopes are newly developed using LED fluorescence technology. They use LEDs as the light source as the life span of the LED lamp is much longer than a mercury lamp with no warm up time or cooling needed. Advanced modern design. 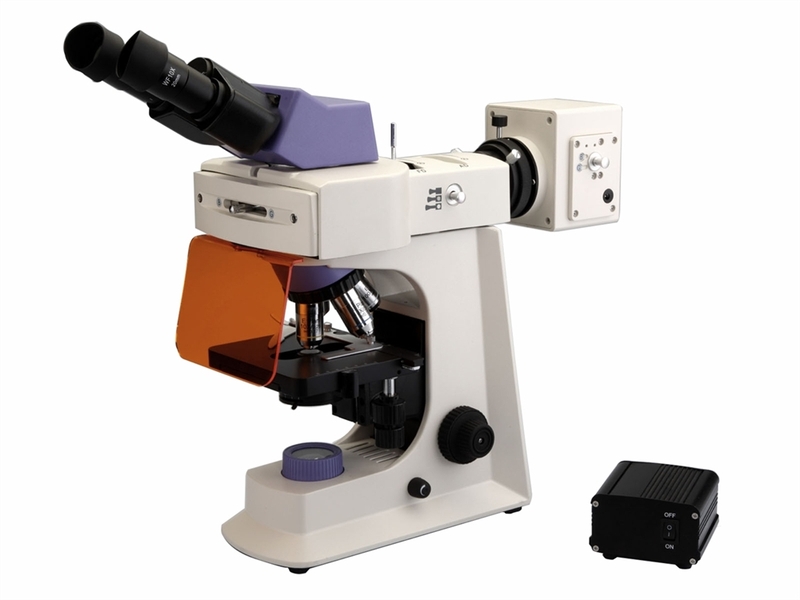 This upright fluorescence microscope uses ultraviolet light as the light source, objects which are radiated then fluoresce, and then the shape of an object and its location can be observed under the microscope. High quality and robust construction. 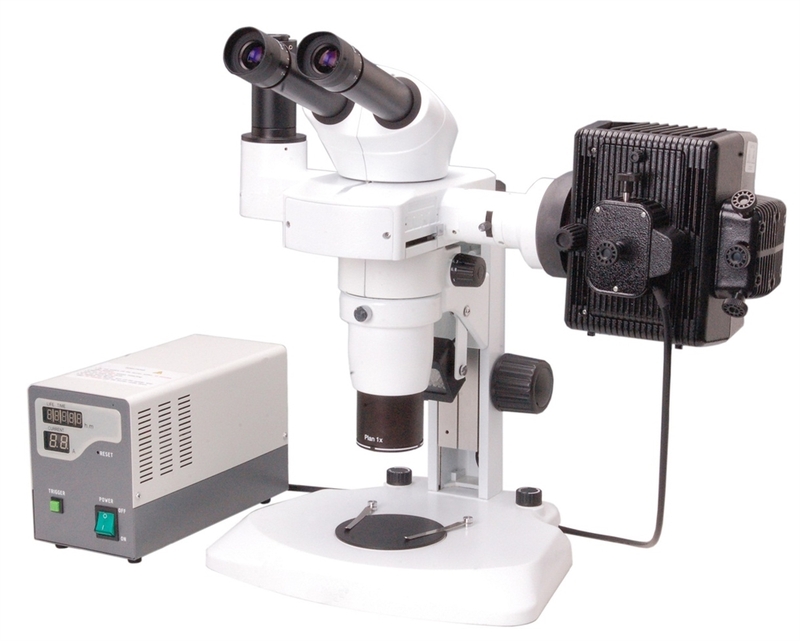 This fluorescent stereo microscope allows viewing of samples with fluorescence at a range of magnifications, from 2.4x - 480x. 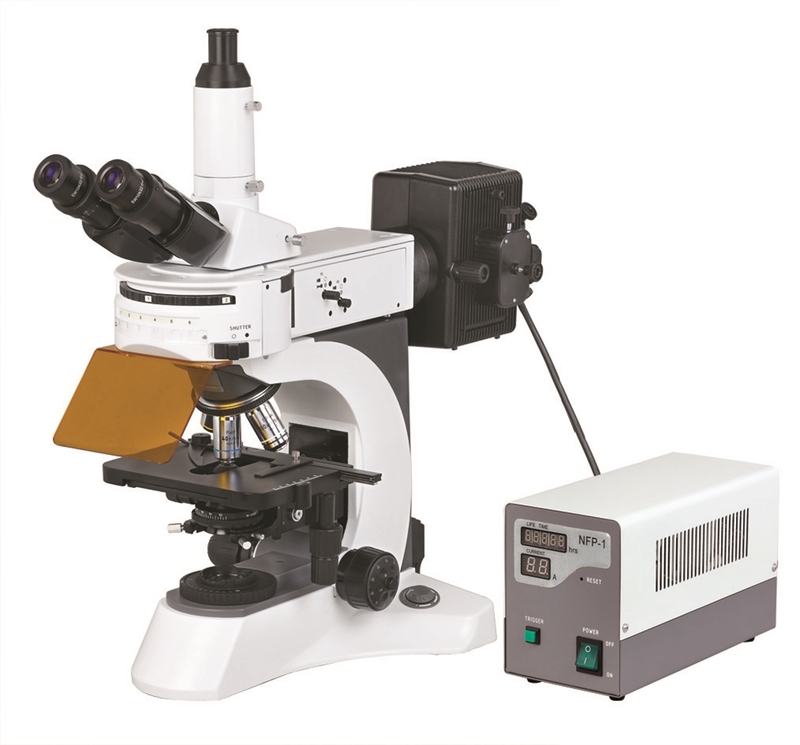 With a range of sophisticated accessories this microscope allows you to view and photograph specimens from macro or micro views.